We are a dynamic group of women striving for excellence in our chosen art form, and having fun too! Vocal Matrix Chorus specializes in 4- part harmony a cappella singing and is an award-winning performing group. Whether you have been dreaming to sing with a friendly, welcoming group or are searching for a dynamic chorus or quartet to perform at your next event, we are the group for you! Vocal Matrix Chorus embraces women of all ages and backgrounds whose common purpose is to share their joy of singing and performing. Since 2005, the chorus has provided high quality a cappella and barbershop harmony performances to local civic, educational, and corporate audiences in Upstate South Carolina. We regularly perform at community events, seasonal shows and competitions, as well as provide the highlight entertainment for nursing homes and assisted living centers special gatherings. Each February our Singing Valentines groups will sing to your loved ones (book this early) . The next time you have a large or small event, consider hiring Vocal Matrix Chorus for a unique musical experience. Vocal and performance instruction is a regular part of weekly chorus rehearsals and an integral part of our chorus experience. We are very fortunate have master coaches visit our chorus several times a year. These world class masters of barbershop harmony share their amazing experience in vocal and visual techniques, which will propell us further on our journey to musical excellence. Through its youth outreach, the chorus offers performance opportunities to high school students with its Sing For Scholarship Program and annual show. 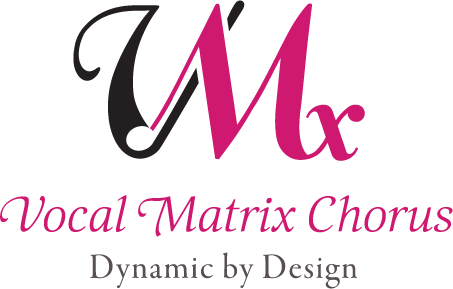 Each spring, Vocal Matrix participates in the Region 14 chorus competition in Winston-Salem, NC. Competitions bring together quartets and choruses from across our region to sing for each other, and get some constructive feedback from a professional panel of judges. We were Regional Champions in 2014 and competed in the Sweet Adelines International Competition in Las Vegas in 2015. In 2017, we received a Wild Card invitation to the 2018 International Competition which will be held in St. Louis, MO. A wonderful group of Vocal Matrix singers brought holiday cheer to the Ryan Nichols House!